A native Texan, Michael Faircloth grew up in the small, Texas towns of Eastland and Yoakum. With encouragement from friends and family to explore his creative gifts, Michael enrolled in the Fashion Design program in the Art Department at The University of North Texas in 1978. While at university, Michael was recognized for his unique talent, receiving numerous local and national fashion design awards. While polishing his design and technical skills in college, Michael Faircloth got a first-hand introduction to high fashion and client relations working at Neiman Marcus in Dallas. Not only did Neiman’s provide unique access to established designers from around the world, but Michael also credits the experience, as a graduate education in designing for, and working with, an elite clientele, and an intrinsic focus on quality. In fact, some of Michael's very first clients at Neiman Marcus prompted him to start his own custom fashion design company in 1984, and remain regular clients to this day. 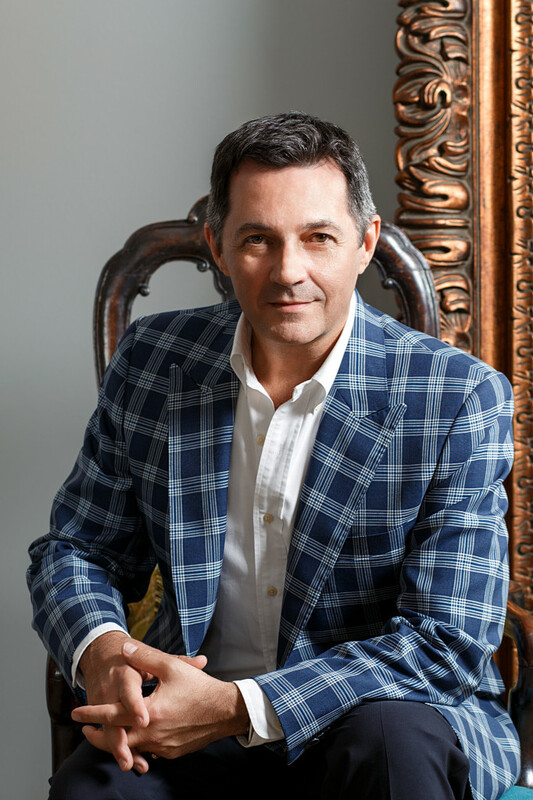 Over the past 30 years Michael Faircloth has developed a worldwide clientele for custom garment design and has become a leader in the arts and fashion communities in Dallas. He co-founded the Dallas Collection of Denim Jackets for the Dallas chapter of DIFFA, a nonprofit organization within the design industry that has raised more than $5 million for HIV/AIDS Service organizations across North Texas. Michael has donated his time and couture designs to benefit numerous charities in Texas. Notably The Crystal Charity Ball and The Dallas Opera's "First Night" fashion event each year following the opening of The Winspear Opera House. Michael also received national attention in 2001 for his design of Laura Bush's red couture Inaugural gown, which is now a permanent installation in the "First Ladies' Gown Collection" at The Smithsonian Museum. The same year, Michael Faircloth received the Dallas Fashion Award from Fashion Group International at Dallas Market Center. Michael received the Distinguished Alumni Award from UNT in 2003 for career achievements, and his numerous contributions to the school and design programs. He currently serves on the Advisory Board for the College of Visual Arts and Design at The University of North Texas, where he also sponsors an annual student scholarship. Starting in 2013, Michael Faircloth established an in-house mentoring program, which promotes and encourages young aspiring fashion designers to build and maintain their own businesses.